For this card, I blended Distress Inks onto the background with the Simon Says Stamp Waves stencil, and added an Avery Elle sentiment. Supplies: Stamp – Avery Elle, paper – Neenah Classic Crest Solar White, Stampin’ Up! Basic Black, Textured Brilliant Blue (retired), inks – Tim Holtz/Ranger Distress Inks Blueprint Sketch, Salty Ocean, Tumbled Glass, VersaFine Onyx Black, stencil – Simon Says Stamp, dies – Spellbinders, embossing powder – Filigree Fine Art Powder clear. 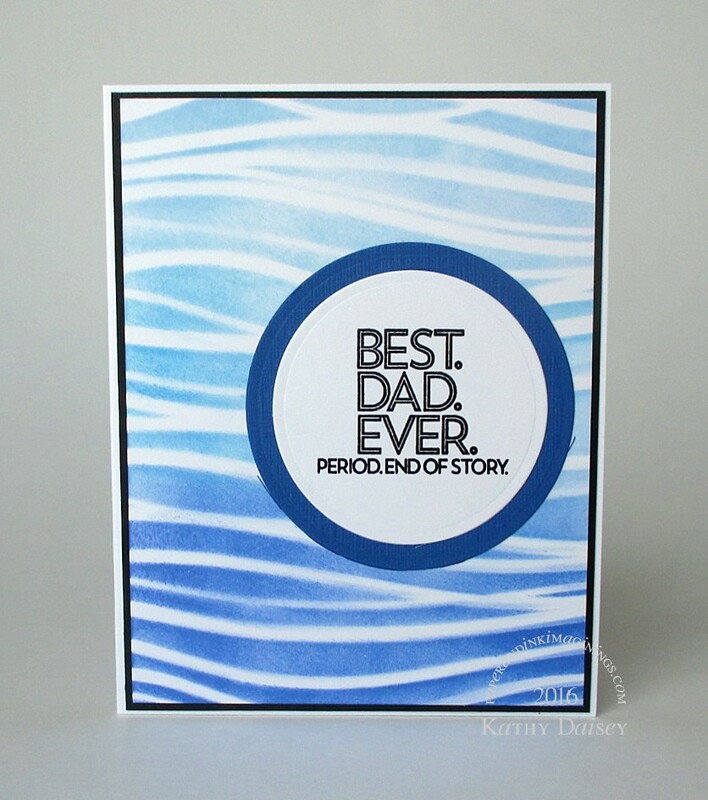 Categories: card, Father's Day | Tags: Avery Elle, card, Neenah, Ranger, Simon Says Stamp, Spellbinders, Stampin' Up!, Tim Holtz, Tsukineko, VersaFine | Permalink.